For guidance and Deemed to Satisfy (DtS) solutions for Integrated Urban Water Management, please see the following Guide. The guide is applicable for additions, single dwellings, townhouses and small residential subdivisions. The Guidelines also discussed treatment devices and provides direction for apartments and commercial/industrial development. 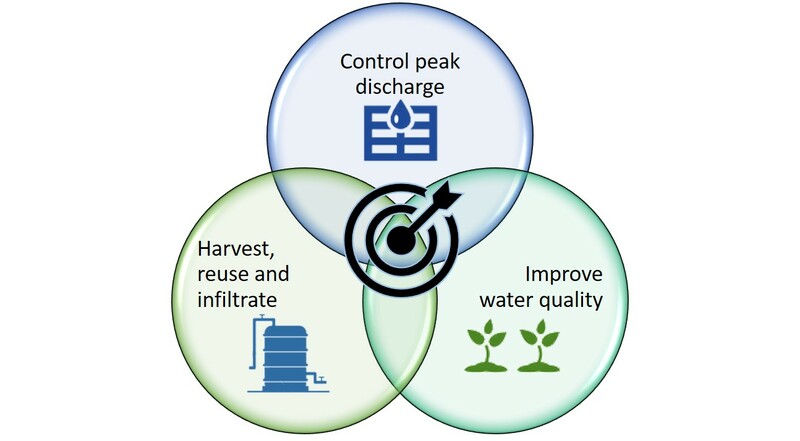 Urban stormwater design has traditionally focused on peak flows and pipe conveyance. Design standards have evolved and now require stormwater design to consider catchment changes created by urbanisation. Engineers Australia now recommends the design and installation of volume management facilities as part of drainage design. Saving money and reducing potable water use where rainwater is applied to fit-for-purpose practices, such as in toilets, hot water, laundry washing and garden irrigation. Creating greener and cooler urban environments with high visual amenity. Reducing ﬂood risk and damage. Extending the useful life of existing Council stormwater infrastructure. Developments must incorporate the three following volume management objectives. 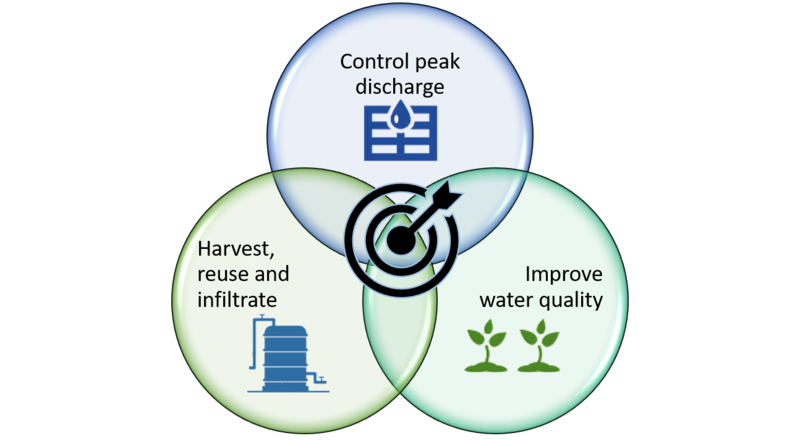 These three principles, and their respective design responses, must be targeted when considering the stormwater design options for a site. Water sensitive urban design : basic procedures for ‘source control’ of stormwater : a handbook for Australian practice / principal contributors, Martin D. Allen … [et al.] ; editor, John R. Argue.